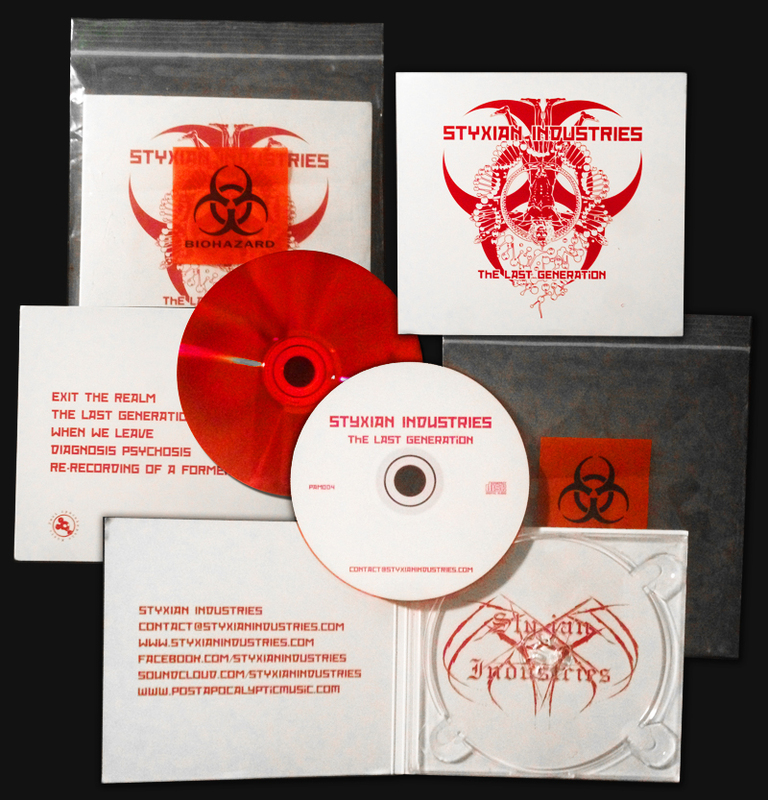 This is just a gateway release before the official Styxian Industries debut album will be released. A little taste (15 minutes) of this pure Dutch quality industrial black drug. Includes a remix of 'Remnants of the former Self' from the EP. Comes in a white digipack with minimalistic red artwork by BR (Experimentum, Göll) with matching red colour on the playable side of the disc. Extra packaging: biohazard ziplock bag. This is a very limited item. Be sure to pick one up at a Styxian Industries gig or ask for it explicitly.